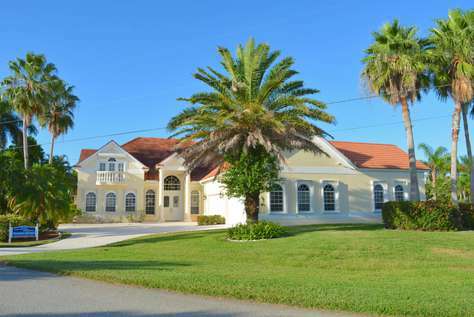 TOP FLORIDA's Villa Sun Castle is truly a Grande Estate in Cape Coral, Florida. From the moment you enter the great entry hall, adorned with a piano, you know that your vacation will be very, very special. Six bedrooms offer plenty of space for you and your companions. Besides six beautifully appointed bedrooms, your private sunset-patio welcomes you up here to enjoy those romantic Florida sunsets "Key-West-style", but without the crowds... You will love the resort-style pool with swim-up bar and Jacuzzi. The boat dock offers ample dockage for those who like to rent a boat. Internet Access Point. PLEASE NOTE quoted price is for the first 8 Guests, additional guests are $35/night per person. Please add 20% on holiday weeks. Welcome to Top Florida's "Villa Chandon" - a truly unique and inviting Chateau. Soaring ceilings, a Grande Staircase, and modern yet contemporary touches and finishes. This villa is best suited for small and large groups, and those who like to splurge with extra space. Note that each bedroom has its own en-suite bathroom. There are two additional "half" bathrooms, one inside and one outside serving as a pool bathroom. On the first floor you will find three bedrooms and the common areas, such as the TV lounge, the formal dining room and the well-equipped gourmet kitchen. There are two more bedrooms upstairs, and a "hidden" game room in the back of the property. 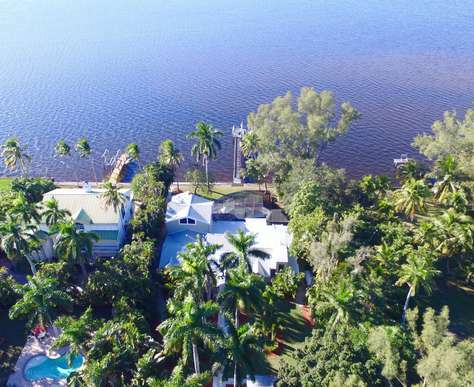 Villa Chandon resides on an estate-sized corner lot offering privacy and absolutely gorgeous views over one of Cape Coral's "Eight Lakes". This Villa is high in demand, so please book it now! PLEASE NOTE quoted price is for the first 6 Guests, additional guests are $100/week per person. Please add 20% on holiday weeks. TOP FLORIDA's Villa Pearl in Cape Coral is just that - a beautiful, precious, shiny and one-of-a-kind treasure. This Villa is superbly equipped and furnished! There is a summer kitchen out on the patio, faux and mural paint finished inside, and a boat dock that has "Key West" written all over it! Villa Pearl is situated on a very large, oversized corner lot. Pride of ownership shows in every corner, and you can feel the love that went into every corner of this exceptional Villa! Please note that the boat lift is not available to renters, there is however plenty of space to dock your rental boat at the boat dock. 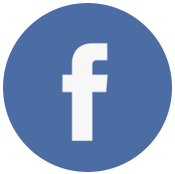 Welcome to TOP FLORIDA's Villa Lista - Villa Lista is also located in the prestigious SW Cape Coral area, near Cape Harbor's fine restaurants and petite shops. This beautifully crafted four-bedroom villa is a rare combination of contemporary interior design and beautifully, Tuscany-inspired design elements. Besides the high-ceiling great room you will also find a formal dining room. The pool deck is expansive, comfortable and offers both plenty of well-deserved sun as well as well-needed shade. The pool and hot tub are heat-pump heated. The unbelievable boat dock with its Tiki hut and ample dockage top off this incredible Villa. Welcome to TOP FLORIDA's Villa Lake View. This Villa, situated on one of the sought-after Eight Lakes, has incredible views over the water. Gulf-access waterfront! 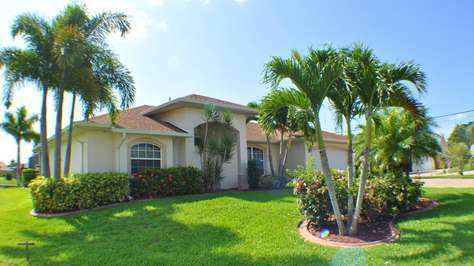 Located in the prestigious Eight Lakes in Cape Coral. This fully furnished Villa with an open concept, and cathedral ceiling is perfect for indoor as well as outdoor entertaining. The disappearing sliding doors allows for direct views of the pool and lake. Enjoy lounging around in the master bedroom which includes a king size bed and private bath. 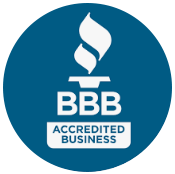 The house is located in a quiet neighborhood, minutes from shopping, golf courses and Fort Myers, close to Sanibel and Captiva Island. 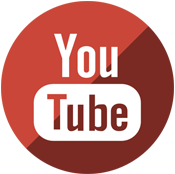 It is a great location for both boaters and those who love to fish. Come enjoy the panoramic views of the lake with gorgeous sunsets and create new memories! Welcome to TOP FLORIDA's Villa Aruba! This exquisitely furnished and equipped Villa is not just "Canal front" it is "Lake Front"! The expansive Britannia lake offers unparalleled privacy and serenity, plus quick boating access to the Gulf of Mexico. Villa Aruba is a three bedroom, two-and-a-half bathroom Villa with heated pool/spa and ready for your Florida dream vacation. Flat screen TV's in all bedrooms, and for your convenience there is complimentary WiFi. 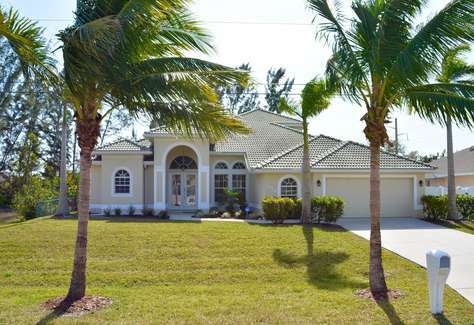 TOP FLORIDA's Villa Lika, located in the picturesque Southwest of Cape Coral, Florida, just has "Dream Vacation" written all over it! This Villa has been updated inside and out. High-quality and inviting coastal-inspired furniture in the living room and granite countertops and modern appliances in the kitchen make you feel right at home. Wide glass sliding doors open up to the South-facing pool deck with a nicely sized, electrically heated pool. Book Villa Lika now - you will be glad you did! Please note that the boat lift is not available to renters. TOP FLORIDA's Villa Paradise Landings is surrounded by lush, tropical landscaping, and convinces with its warm, contemporary interior design. This incredibly beautiful Villa features southern exposure and a boat dock with boat lift for your enjoyment. The boat ride out to the Gulf of Mexico are very scenic and fairly short. 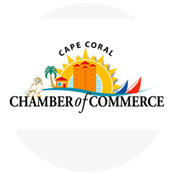 Situated in the sought-after southwest part of Cape Coral near shopping, dining and the attractions of Cape Harbour with its restaurants, boutiques, coffee and ice cream parlors. Internet Access Point. Welcome to Top Florida's Villa Stardusk! 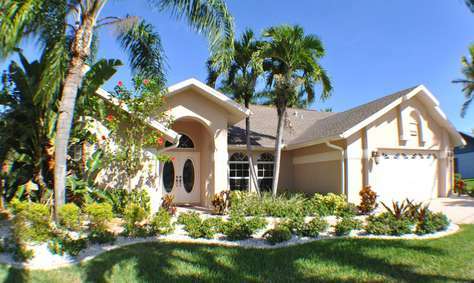 Situated in the perfect vacation location in SW Cape Coral, near Cape Harbor's Rum Runner and other area attractions! This sparkling Villa is just another perfect example of the incredible value that Top Florida offers with a fully furnished Vacation Villa. Enjoy the clear, warm water of the pool, go boating, or just enjoy the expansive views over the intersecting canals. The contemporary interiors are timeless and classy. For your convenience, there is free Wi-Fi (WLan). Villa Starfish / Construction Discount Summer 2019! TOP FLORIDA's Villa Starfish is nestled on the shores of a freshwater canal. Villa Starfish offers something special for everyone, a fully equipped kitchen, a heated pool and free Wi-Fi. Every bedroom is individually and invitingly themed - this Villa is bright, light, spacious, and most of all cozy! The pool deck is the best spot for your sunset evening cocktail, by the way... Many nice restaurants and shops are very close. Please be advised that Villa Starfish is located on a freshwater canal with no access to the open water. Due to this inconvenience we have reduced the 2019 summer rates to $129/night plus cleaning, taxes & fees. TOP FLORIDA's Villa Del Rio - the epitome of luxury vacation accommodation! 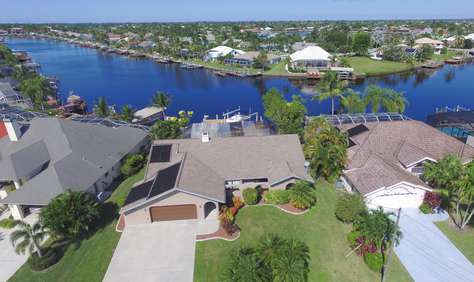 This elegant two-story Estate is nestled on a wide lagoon/intersecting canals just off the Caloosahatchee River in Cape Coral. Inside you will find beautifully appointed guest rooms each with en-suite bathrooms. From the moment you enter Villa Del Rio, tastefully and stylishly chosen furnishings and decor will make you feel right at home. The expansive pool deck offers plenty of room for tanning, an outdoor summer kitchen and a heated pool and hot tub. The oversized boat dock with lift is known the be the perfect spot for sunset celebration - after all, it's your vacation and Villa Del Rio serves as the perfect back drop for many wonderful memories! !PLEASE NOTE that electricity is billed separately! Please add 20% for certain holidays; minimum of 2 weeks over Christmas. Rates are based on 4 guests, each additional guest pays $175/week. Please inquire for full details or see booking form. Please note that the boat lift is not avaiable to renters. There is however plenty of space to dock your boat at the boat dock. 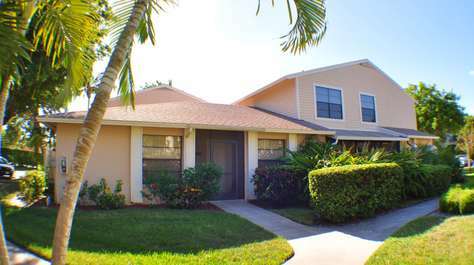 TOP FLORIDA's Villa Rose Garden is situated in the the wonderful Rose garden neighborhood of Cape Coral. This delightful home has been extensively and tastefully updated and upgraded while preserving its original charm and character. Enjoy the oversized brick paver pool deck, striving views along the wide and peaceful waterway, the heated pool with waterfall and the hot tub. Ask us about renting a boat, too! Internet Access Point. 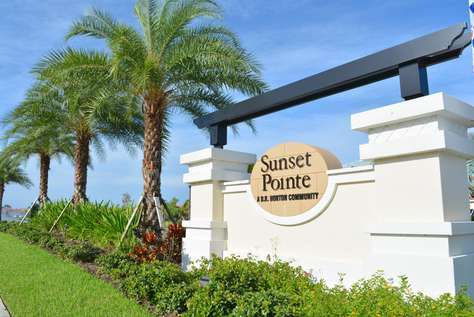 Welcome to TOP FLORIDA's Villa Sunset Vista! 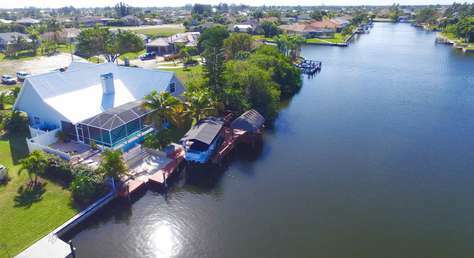 The Four Mile Eco Preserve is one of Cape Coral's most desirable areas, and once you've stayed at Villa Sunset Vista, you'll know why: Combine a central location that offers shopping and dining within walking distance with total serenity of the Four Mile area, topped off with a waterfront Gulf- access-location! Huge corner lot! 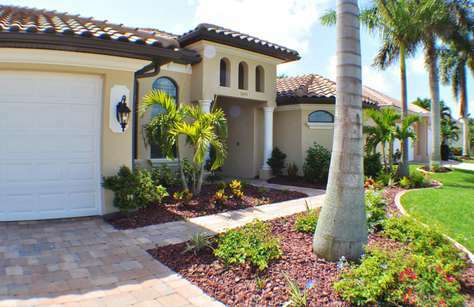 TOP FLORIDA's Villa Cast Away is truly a very special offering when it comes to wonderful Vacation Villas. Not often will you find such a charming home in one of the most sought-after location in Fort Myers - Whiskey Creek! You are close to absolutely everything! Drive down historic McGregor Blvd south to the beach, or north to historic Fort Myers Riverdistrict! Enjoy the serene oversized garden, the heated pool, or just find a shady spot to enjoy a drink. 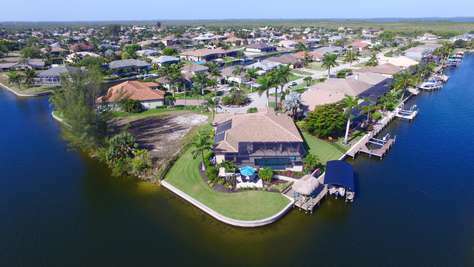 Welcome to TOP FLORIDA's Villa Beach Retreat in Cape Coral's sought-after Yacht Cub area. This true Florida-style Villa is setting your stage for a perfect vacation. This Villa is tastefully remodeled and furnished to highest standards. You will relax, unwind, recharge! The pool may not be for the competitive swimmer, but is perfect to cool down while enjoying your preferred beverage. Tropical foliage offers privacy and serenity. But wait - there is more! Included is a guest pass for everyone to enjoy the resort-style amenities of the Cape Coral Yacht Club, which is just a very short walk down the street! There is tennis, an Olympic-sized pool, racquet ball, a community center, a beach, picnic tables, and The Boat House, a favorite watering hole with panoramic views over the water! A perfect combination! Please note: the boat lift is not available to renters. 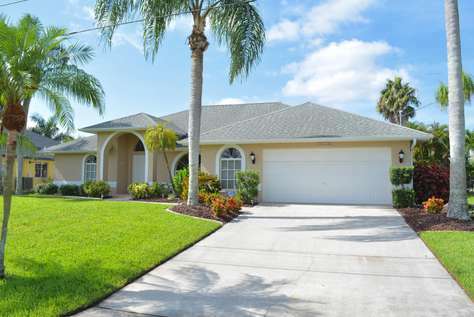 Welcome to TOP FLORIDA's Villa Emily, it is just perfect inside and out! For those who cannot do without, there are TV's in all bedrooms. For the special occasions we have a formal dining room that is warm and inviting - and the Grandfather's clock just gives it this special touch! Villa Emily boasts high ceilings, and the outdoor areas are tropically landscaped. Villa Emily is in the Yacht club are of Cape Coral - everything is close by! Enjoy the crystal clear pool and spa, or hang out by the tiki bar! Welcome to your Florida vacation Villa! 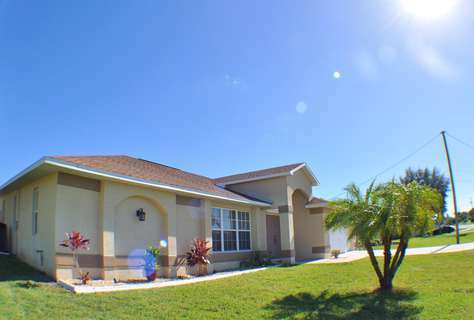 Welcome to TOP FLORIDA's Villa Serenity! 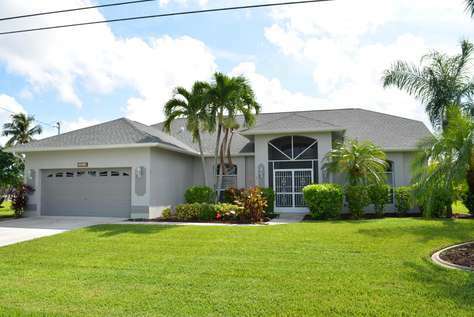 Located in the heart of Cape Coral! Villa Serenity is on a Gulf-access canal, and is one of the very few Villas that offers an extra-long lap pool. Enjoy the large boat dock for your morning coffee! TOP FLORIDA's Villa River Pearl welcomes you with unparalleled privacy beginning with the long walkway covered under palms, and resort-like amenities such as sauna and steam room, private heated pool and spa, and of course endless views over the gorgeous Caloosahatchee River. This very unique estate boasts high quality interiors and finishes just about everywhere. The main bedroom impresses with soaring ceilings and retractable corner sliding doors that when open give you that "sleeping under the stars" feeling. Upstairs you will find an additional reading loft with commanding views over the River. Each bedroom has its own en-suite bathroom. There is also a den/study with its own half bath if you absolutely feel like working... Now you can dream with your eyes wide open! PLEASE NOTE if you wish to have the pool and/or spa (gas) heated, there is a $20/day additional charge. Please inform our office min. 2 business days prior arrival how you decide. TOP FLORIDA's Davy Crockett's Lodge truly pays homage to the Wild West. Our beloved frontiersman would have appreciated the modern and luxurious amenities (including indoor plumbing!). As with any true Lodge, the spectacular entry hall welcomes you with a warming fireplace, and the love for ornate woodwork is visible just about anywhere. 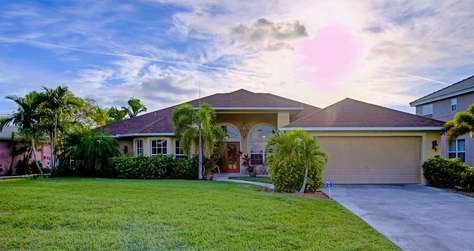 This is a unique offering in Cape Coral, the perfect setting for larger families, groups or gatherings. Sunsets are celebrated on abundant porches and balconies, or the surrounding prairie. There is ample parking for your cars and horses, and six bedrooms offer plenty of space for you and your companions. Internet Access Point for those frontier folks who just can’t do without it. PLEASE NOTE quoted price is for the first 4 frontier folks, additional guests are $30/night, per person. PLEASE NOTE electric and gas (pool & spa) are charged as used. PLEASE NOTE minimum stay over Christmas is 14 nights. TOP FLORIDA's Villa Parrot Key is situated on the shores of a lagoon with Gulf of Mexico boating access. The great-room, split-bedroom design allows ample room for everyone. Then again, with its south-facing large pool and patio, that is where most likely everyone will be! Besides the high-ceiling great room you will also find a formal dining room. The pool deck is expansive, comfortable and offers both plenty of well-deserved sun as well as well-needed shade. TOP FLORIDA's Villa Luvnlife! The name says it all! And what's not to love? Life is good here in Florida, especially when a Polar Vortex wreaks havoc in the North over the winter months... Escape! Unwind! Book now! This is just a very elegant, bright, light, airy and nicely furnished Vacation Villa in the sought-after southwest Cape, on a quiet street off Surfside Blvd. Please note this home is right next to Villa Lika - the perfect combo for a larger-group getaway! Internet Access Point. 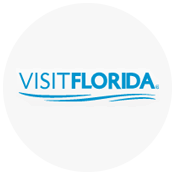 Welcome to TOP FLORIDA's Villa Old Florida! This 5 bedroom Key West style vacation villa can sleep up to 14 persons! It features 3 bedrooms (2 King and 1 Queen) downstairs with 2 bathrooms and 2 bedrooms upstairs, with 2 trundle beds each and another bathroom. A saltwater pool & spa, a game room (with pool table/table tennis, flatscreen TV (32"), DVD player, DVDs, board games, puzzles, English, German and French books, and Air Hockey) and the option to rent the boat make this vacation villa a top contender. And don't forget sunset cocktails in the Tiki Hut! Welcome to TOP FLORIDA's Villa Sanibel - Island Time begins here! Welcome to TOP FLORIDA's Villa Sanibel, named after the enchanting barrier island just a few miles west of Cape Coral - and for a good reason! Contemporary, classic design meets the relaxed lifestyle of the islands. In Villa Sanibel there is plenty of space for everyone: As you enter, the inviting formal dining room is to your right and a cozy bar beckons for you to relax! Separated by the spacious and fully equipped kitchen you will find the movie/game room. Enjoy a game on the large, high-definition TV or sit down for a card game. Better yet, take a splash in the large, heated pool with hot-tub section. And how about celebrating our stunning Florida sunset down at the boat dock with Tiki hut, hammock and a 10,000 lb boat lift? Set your watches to Island Time as soon as you enter! Internet Access Point. Welcome to TOP FLORIDA's Villa Courtyard Vista! The Courtyards condominiums are nestled in pristine, quiet and peaceful southwest Cape Coral, a neighborhood mostly made up of upscale, mostly waterfront single family homes. A local area attraction, Cape Harbor with its shops, waterfront restaurants, cafes and Gellaterias is just short walk down Chiquita Blvd. This friendly community offers a large, heated swimming pool and a charcoal BBQ grill for residents and guests. This condominium is just across from the community pool. Perfect for an extended stay. Welcome to TOP FLORIDA's Villa Sail Harbor - perfectly located in South Fort Myers close to beaches, airport, wining and dining. The townhouse that feels like home. This Villa is located in a gated community with a heated community pool just a short walk down the street. The Villas at Sail Harbor are sprinkled across a park-like setting, perfect for long walks around the lakes. PLEASE NOTE: minimum during high season is 30 nights and 14 nights during summer time (only one booking per month). PLEASE NOTE: ALL rentals have to be approved by the condo association at least 3 weeks prior to guests arrival and that the association requires a background check for every adult with the rental application. TOP FLORIDA's Villa Oasis is the opportunity to spend your vacation in style and luxury! 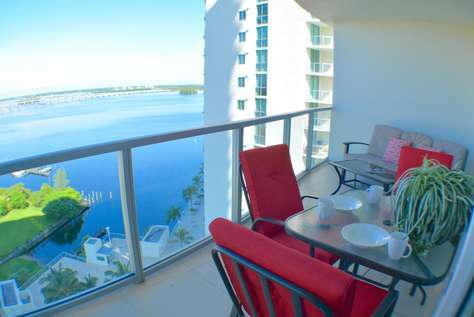 This 1-bedroom condominium on the 16th floor is overlooking the Caloosahatchee River and the resort pool area. There is a tennis court, a fitness center, a pool and game room and just so much more! 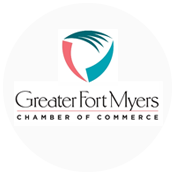 All just a short distance from the Historic Fort Myers entertainment district! 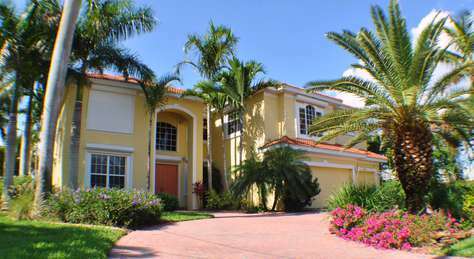 Welcome to TOP FLORIDA's Villa Soth Cape! 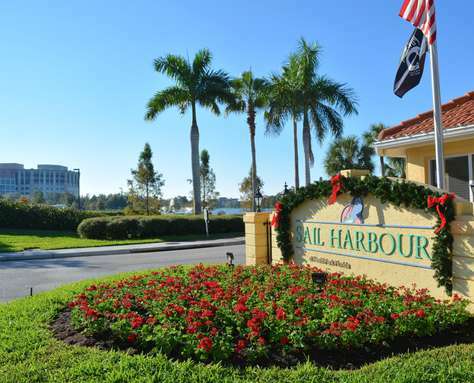 Everything, and we mean everything, is close by as Harbor South, the condominium complex Villa South Cape calls home, is right when you arrive in Cape Coral. 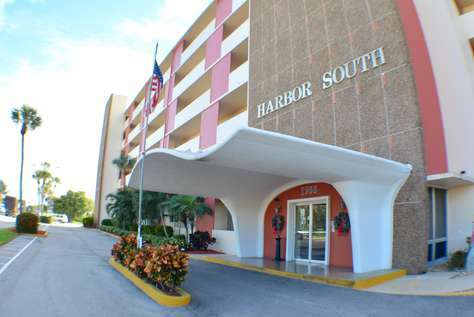 Harbor South is known for its unspoiled original Cape Coral flair. There is a common dock right off the River if you are into boating. The condo is nicely updated while maintaining its rich heritage. This friendly community also offers a large, heated swimming pool and shuffle board for residents and guests. This condominium is just across from the community pool. Perfect for an extended stay. PLEASE NOTE there is a 3 month minimum stay. Harbor South's main entrance is located off Cape Coral Pkwy, which is a busy street, but the unit is facing south and is very, very quiet. Welcome to TOP FLORIDA's Villa Hideaway! This Villa features a fenced-in backyard for your pets! The fence also offers privacy! Villa Hideaway is perfect for, well, hideaway-vacations! Relax, enjoy the pool, or venture out to the very many area attractions! Welcome to TOP FLORIDA's Villa Tranquility - the name says it all! Villa Tranquility will be your home base for a wonderful, relaxed vacation in distinct, tastefully furnished surroundings! 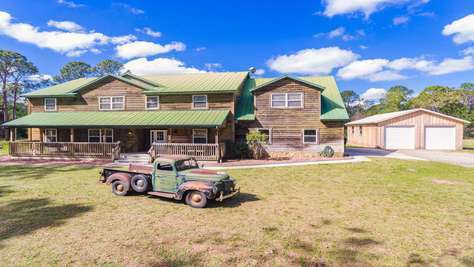 Situated on quiet, tropically landscaped and tranquil land north of Pine Island Rd. in the northwest part of Cape Coral, the quaint Islands of Matlacha and Pine Island with their casual, yet world-class seafood cuisine, are just around the corner. Or, how about relaxing by the pool? Either way, isn't it time for the Eagle to land? Please book now. Villa Tranquility is also close by Casa Primavera, making those two the perfect choice for larger gatherings!